Mother Pho is located downtown just one block away from the Arch. It opened in 2015, and many who pass by recognize the restaurant from its courtyard with green fences. 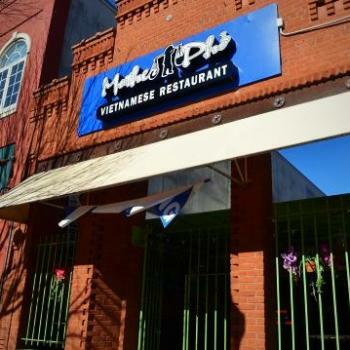 Mother Pho&apos;s specialty dishes include Báhn Mì sandwiches and Pho bowls. Everything on the menu is hand made and made from scratch. The owners of Mother Pho are the Ding Nguyen family. They are originally from Saigon, Vietnam, and they first came here in 2014. When asked what they like best about Athens, they said, "It&apos;s nice and quiet compared to a big city." 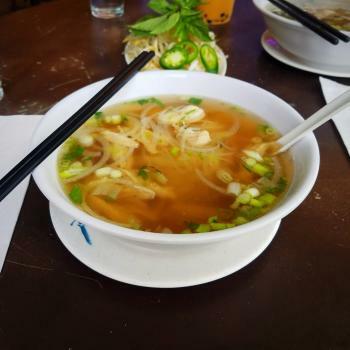 Pictured above is the Mother Pho Ga. Other places to find Vietnamese food in Athens include Just Pho...and more. 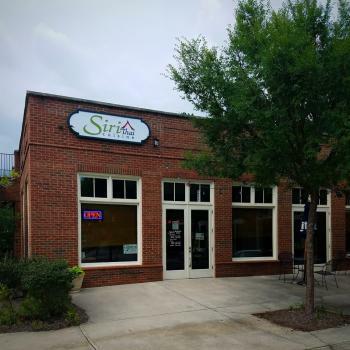 There are two Siri Thai Cuisine locations in Athens, one of which is in the Bottleworks district off Prince Avenue and another is located one on the Eastside. 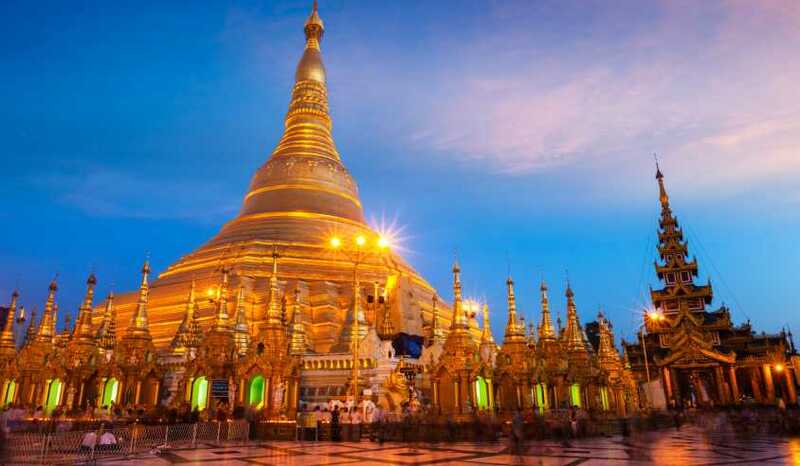 Some of their specialty dishes include Mussaman Curry, Pad Thai, and spring rolls. Siri Thai sticks to an authentic Thai style, but they also have their own Thai-American fusion dishes. The owner of Siri Thai is Andy Thiengwongs. He is from Bangkok, Thailand, and he came to Athens in 2004. 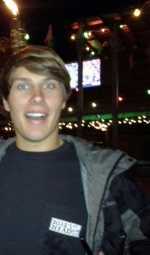 The things he likes most about Athens are "the people and it&apos;s not too crowded like big cities." 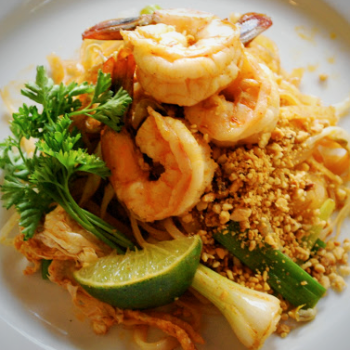 Pictured above is Pad Thai with shrimp. Other places in Athens to find Thai food include Thai Spoon,Thai E3 Cuisine, and Cozy Yum Yum. Taste of India is located downtown near the corner of East Broad and Lumpkin Street. Taste of India has featured specialty dishes such as Chicken Kashmiri, Chicken Tikka Masala, and Vegetable Mango Curry since 2005 when it first opened for business. Every weekday they feature a lunch buffet with dishes that rotate daily, and 90% of their menu is gluten free. 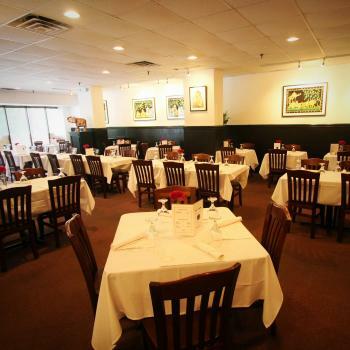 Taste of India is owned by Renu Chhabra, who is from Jalandhar, Punjab. She was raised in Virginia, and she first came to Athens in 2004. When asked what she likes best about this city, she said, "The diversity that Athens offers is one of a kind. It is a small community but with a big heart and everyone is always supporting one another in any way they can." 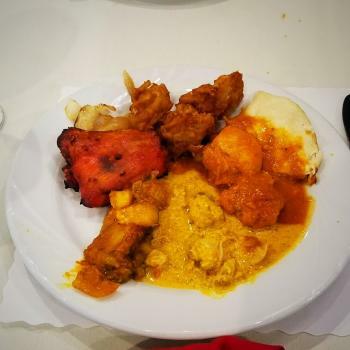 Pictured above is the Chicken Tandoori, Curry Chicken, Chicken Tikka Masala, vegetable fritters, and Naan from the lunch buffet. Another place to find Indian cuisine in Athens is Koyla Sizzling Grill.